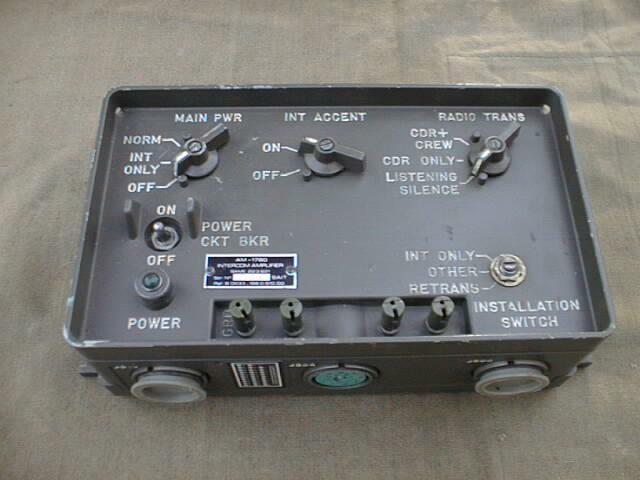 The AM-1780 is the main junction box / audio amplifier for the AN/VIC-1 Vehicle Intercom System. It provides control of the 24 Volt DC power to the associated crewmember control boxes and to the radio system that may be connected to the amplifiers. The amplifiers also amplify and control the audio signals in the intercommunication (intercom) and radio circuits.